While I fancy myself a bit of a baker, there’s always been one sweet treat that I’ve never quite been able to master. Banana bread. My first attempt was based on a tried and true recipe from a friend’s mom who would constantly send moist, delicious loaves into the office for our indulgent consumption (I’m looking at you Ingrid!). But despite detailed instructions, my attempts always resulted in disaster, including one completely raw loaf that was more like banana pudding than banana bread. I actually brought that one to meet the grandparents of my then-boyfriend, and Opa, ever the gentleman, kindly took a bowlful (yes, a ‘bowl’ful – it was so mushy it had to be eaten from a bowl) and declared it one of his favourite desserts – bless that sweet man. Another time, I tried my friend Laura’s recipe for Love At First Banana Bread (actual name). A slight improvement, but still nothing like the sweet, delicious batches she would whip up. At the time, I was playing a little fast and loose with directions. For instance, I would read a recipe and think, “well if 3 bananas are good, 5 must be better!” Or, “this mug looks like it would be a good stand-in for a measuring cup.” Clearly not a good start. But even after learning that baking is more science than art, and following instructions to a T, banana bread continued to elude me. Until now. 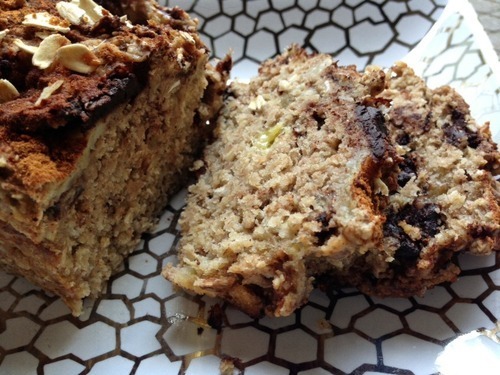 This recipe for gluten-free, dairy-free, egg-free banana bread from Ambitious Kitchen was passed on by a friend. More accurately, after sampling a batch she had made and declaring there was no way anything devoid of all those ingredients could be so delicious, I hounded her until she sent me the link. Because seriously, no gluten, no dairy, no eggs (and no added sugar because I omit it from the recipe). HOW DO THEY DO THAT? But apparently they can and they do. My first attempt at this recipe was delicieux! As was my second, and my third, and my fourth… you get the picture. This quasi-healthy dessert has become one of my go-to’s whenever I need to whip something up to bring to a friend’s, or just to satisfy a craving. I’ve made a few changes (like omitting the sugar and topping with some cinnamon instead). I even make my own chocolate, using the recipe below, to mix into the dough. Watch out Martha Stewart, there’s a new chef in town! Alright, well not quite, but you know what’s a good consolation? Two words and they sound like “manana boaf." 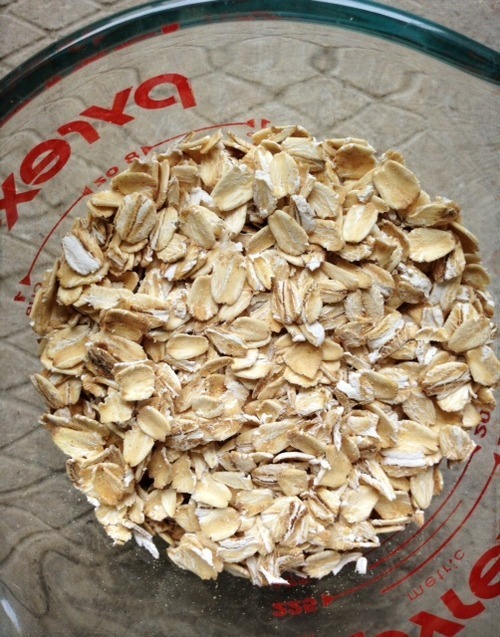 These oats have no idea what’s in store for them – they’re headed straight for the blender. Unsuspecting oats. BOOM! 2 minutes later, oat flour. 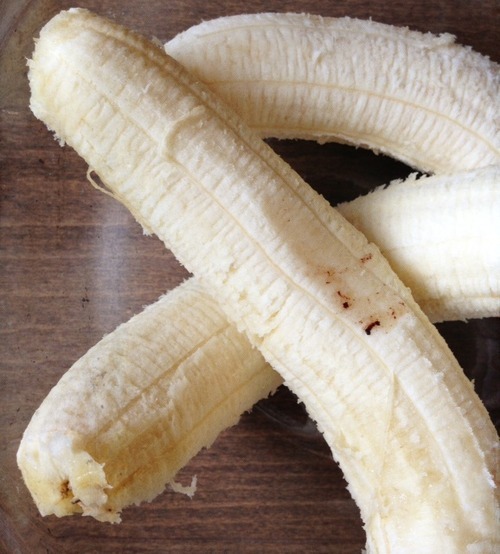 For all those banana enthusiasts out there, if the recipe calls for 3 bananas, use 3 bananas. 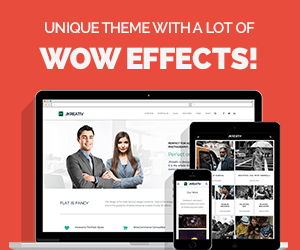 More is not always better. I’ve learned from personal experience. It may not look like much right now, but this is the beginning of the yummiest banana bread. 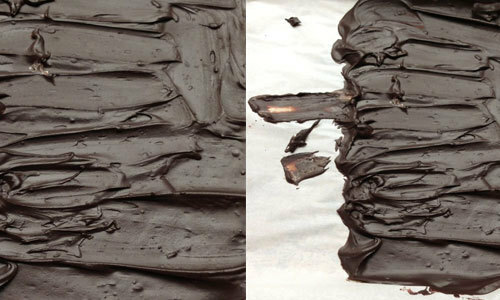 Homemade chocolate. Martha Stewart, eat your heart out! Ta-da! 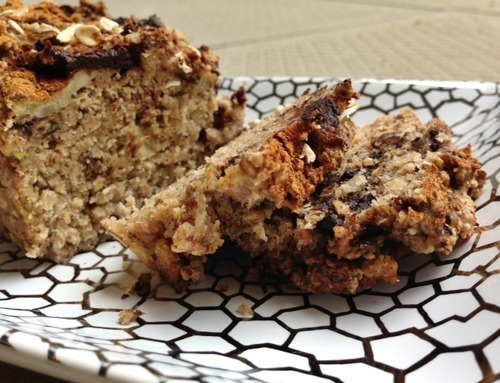 Delicious and nutritious banana bread. Time to sneak a slice. Preheat oven to 350 degrees F. Grease a 9” × 5" loaf pan with coconut oil. 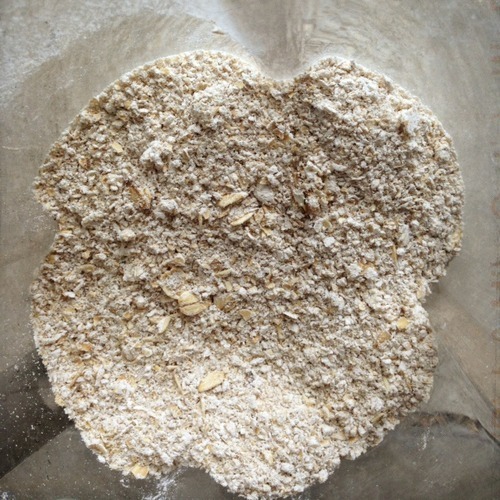 Measure out 2 cups of the oat flour and place in a medium bowl. Whisk in baking powder, baking soda, and salt; set aside. 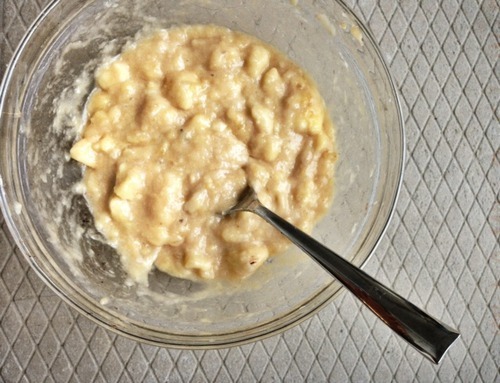 In a separate large bowl, beat mashed bananas, 1/3 cup brown sugar (again, omit to make sugar-free), vanilla extract, and oil for 1-2 minutes until the consistency is smooth and creamy. Slowly add in oat flour mixture and mix until just combined. Gently fold in chocolate chips. 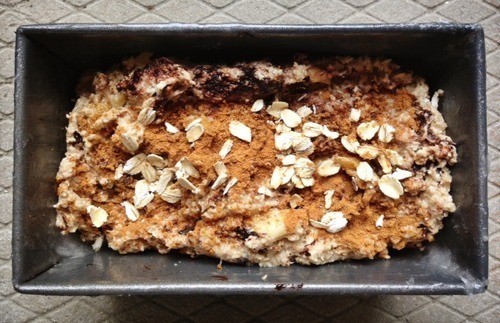 Pour batter into prepared loaf pan and sprinkle 3 tablespoons oatmeal and a bit of cinnamon on top. Bake for 35-40 minutes or until knife inserted into center comes out clean. Cool 10-15 minutes, then remove from pan and place on wire rack to finish cooling. Cut into slices and enjoy! Mix all three ingredients together, then pour onto a baking sheet, covered in parchment paper, and spread into a thin layer with a spatula. Put it in the freezer to harden, then cut it into chunks. Recipe sourced from The Veggie Nook.